What the markers and traces of absence and loss that remain on this holocaust memorial site invite us to remember and how we too become carriers of memory ourselves. The festival starts at 9:00am on Friday 15th March 2019 and finishes at 10:00pm on Sunday 17th March 2019. All schools will need to arrive into Prague before 4:00pm on Thursday 14th March 2019 and may leave on the Monday morning. ISTA artists will need to arrive into Prague by 4:00pm on Wednesday 13th March 2019 in time for an evening meal and may leave Terezin on Monday morning. Please arrange flights accordingly. 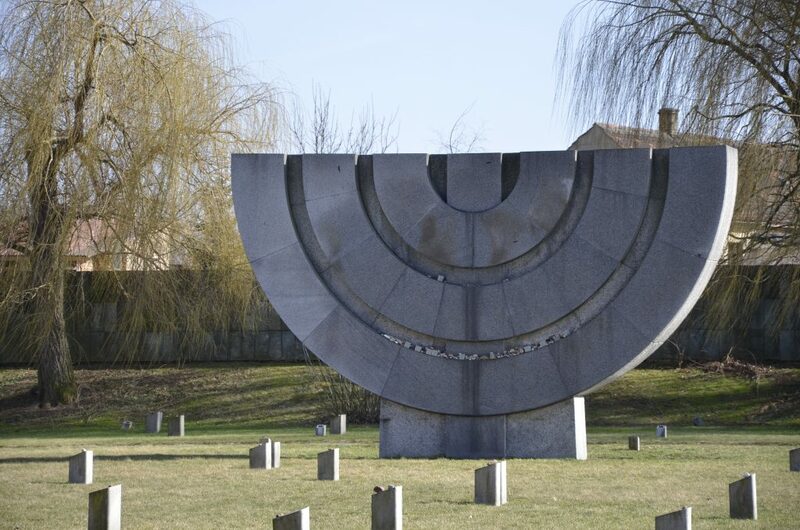 The ISTA Rep will arrive into Prague by Tuesday evening 12th March 2019 to spend Wednesday in Terezin on pre-planning. GBP £120 accommodation and all meals (shared rooms for four nights). GBP £200 accommodation and all meals (single rooms for four nights). All participants should fly into Prague International Airport or arrive into Praha Hlavní Nádraží (main) train station. The journey from the airport/train station to Terezin will take approximately 1 hour. All schools are responsible for booking their own travel and visas for the festival. Please ensure you arrive in Prague (at either the airport or train station) by 4:00pm on Thursday 14th March 2019. Private trasnport (buses) will be provided to take schools to and from Terezin. ISTA artists are responsible for booking their own flights to the festival and will use our travel agency for this. Artist teams will be activated 12 weeks prior to the festival and your EC will talk you through the process for booking flights at the time of activation. Please ensure you arrive in Prague (at either the airport or train station) by 4:00pm on Wednesday 13th March 2019. Artists are also responsible for ensuring they have the necessary visa to enter the Czech Republic. Artists will be collected from the airport/train station on arrival and taken to Terezin together. Depending on your arrival time you may need to wait. Please note that WiFi, where available, is intermittent and unreliable. We strongly suggest teachers source a phone plan for use in Terezin. Please note that Terezin and Litomerice are communites of little wealth and as such the accommodation centres are basic. Visiting teachers will stay in single room accommodation at the Park Hotel or at Hostel U sv. Štěpána as above. Teachers will be placed in the same accommodation centre as their students. Visiting teachers/chaperones will be booked into the hotel for the nights of the 14th, 15th, 16th and 17th March 2019. Students will stay in shared rooms at the designated hotel. Students will be booked into the hotel for the nights of the 14th, 15th, 16th and 17th March 2019. As the festival is a hotel model festival as opposed to homestay it is ISTA’s expectation that teachers/chaperones will look after students outside of scheduled festival times. Single rooms will be booked for ISTA artists at the Park Hotel, Terezin for 5 nights from the 13th March 2019. All meals will be provided for all participants from arrival into Terezin on Thursday evening, including breakfast on Monday morning. Breakfast, lunch and dinner provided for Friday, Saturday and Sunday. Including additional meals. Finishes on Sunday 17 March at 21:30 .